[08-Mar-17] What does hyperspectral mean, and why is it important? The PACE mission will see the ocean in new ways, looking "beyond the rainbow" to reveal new information about the highly diverse microscopic plants and algae known as phytoplankton. PACE's instruments will allow us to see differences among phytoplankton with different shapes, sizes, and colors. These data will help pinpoint beneficial species (most of them!) and those that are toxic. 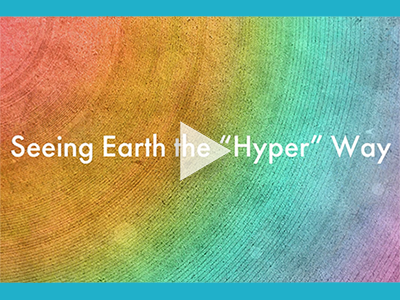 In this video, some pups explore what "hyper" and "spectral" mean, and why it is important to sniff out these organisms to better understand our oceans.